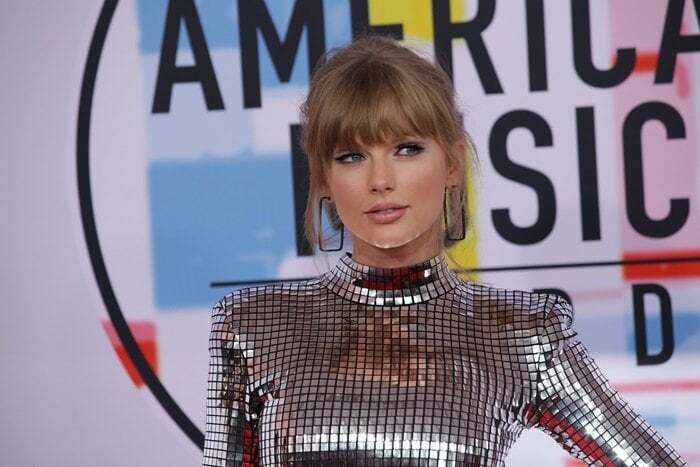 Taylor Swift looked like a disco ball while walking the red carpet at the 2018 American Music Awards on Tuesday at the Microsoft Theater in Los Angeles. She opened the show this year with a performance of her song “I Did Something Bad.” It’s the first time Taylor has performed the song on TV. 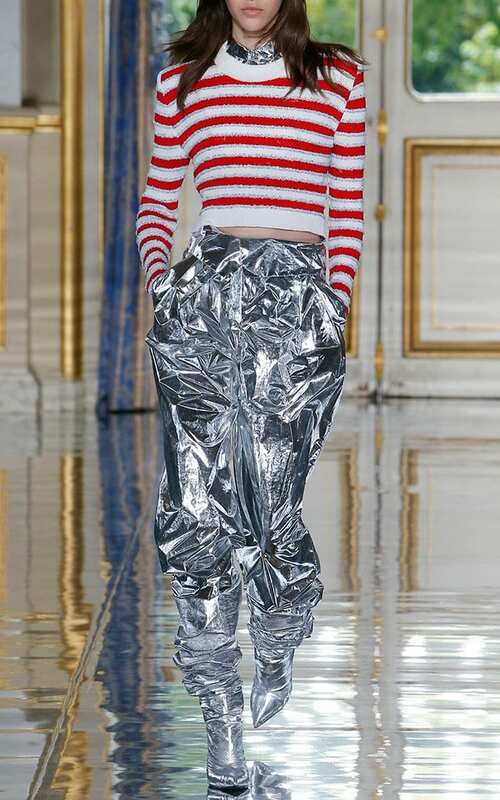 The 28-year-old singer turned heads in a metallic mini dress from the Balmain Spring 2019 Collection and matching thigh-high ‘Kim’ mirror boots ($3,350 at Moda Operandi) from the same French luxury fashion house. She accessorized with diamond rectangle hoop Ofira earrings ($18,000 at Moda Operandi) and Lorraine Schwartz rings. This thigh-high boot is rendered in leather and features a mirror finish and heel embellishment.